Our mission empowers youth to take charge of their own future. Through hands-on education, quality mentoring and opportunities for personal growth, youth strengthen their commitment to think, learn and act, working together locally and nationally to sustain a healthy planet for all life. Our vision for One Earth One People is to build a global team to create positive change, networking youth with their peers as they share knowledge and spread our all-inclusive, interdisciplinary concepts around the world. Our 501(c)(3) non-profit organization, founded in Cincinnati, OH in 1990, received local and national acclaim. Due to a personal tragedy in our Executive Director's family, activity was postponed from 2002-2017. Now we are re-launching our Youth Cloth Bag Project, aiming to change shoppers' habits from single-use plastic bags to cloth bags. We ask you to join us to help reduce the massive accumulation of plastic bags in our waterways and oceans. When aquatic wildlife consumes the plastics, they not only endanger their health but ours as well. 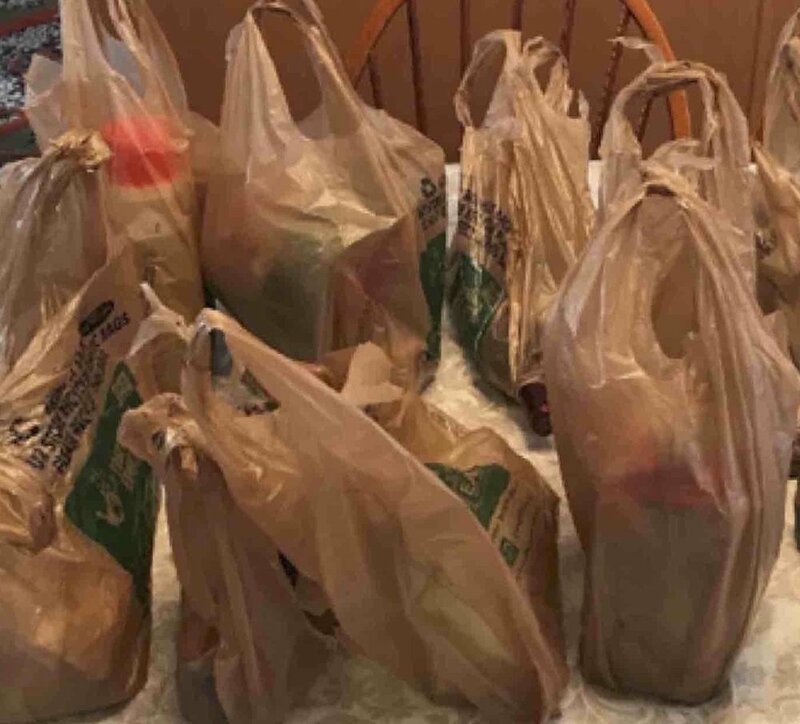 We are facing an environmental disaster from single-use plastic bags. A hundred billion plastic bags are used by U.S. consumers every year. Our theme for 2018 is "Curb Plastics and Combat Climate Change!" Between 1995-2002, The Kroger Co., in partnership with One Earth One People, sold 17,000 cloth bags in its stores as part of the Youth Cloth Bag Project in the Greater Cincinnati, OH/Northern Kentucky area. Consumers were inspired by the printed drawings, created by K-12 art students on our bags. The drawings were displayed in sponsoring stores, schools and public facilities. At seventeen, Praneeth Nagarjuna, our Student Executive Director, saw the need to relaunch One Earth One People, with the courage to expand our Youth Cloth Bag Project nationwide. Praneeth formed our Student Executive Board. Teaming together during school and after-school time, they enrich scientific research and creativity in art classes. In communities, they broaden awareness of the importance of preserving and protecting the environment. "The Youth Cloth Bag Project is a grassroots catalyst that curbs the damaging impact of environmental degradation and drives positive initiatives. We cannot wait any longer. Even the smallest actions can make a big difference, but for that to happen we must start now." Praneeth Nagarjuna, Student Executive Director. Click here to contact or join us! ...through diverse hands-on activities, our Student Executive Board developed enduring leadership and life skills. They were better equipped and motivated to take on their future, foreseen as endangering the health of our planet. Developing self-confidence, they learned to work together, spreading team-building throughout schools and communities in the Greater Cincinnati, OH/Northern Kentucky area. With a sense of purpose, One Earth One People's challenging projects enhanced creativity for K-12 students. In twelve years, numbers of school participants increased to 22,000. Our Student Executive Board, under the guidance of qualified mentors, all remained in their positions until graduation. Positive, constructive action in One Earth One People turned the students' fear of their future into hope. We received an endorsement from the United Nations Environment Programme at our first Earth Day celebration. Local and national awards followed, including an award to each Student Executive Board member by President Clinton. We are listed in the Library of Congress and recorded in the U.S. Congressional Record by Congressman Rob Portman. Major sponsors are The Procter & Gamble Co., The Kroger Co., The John and Shirley Davies Foundation, along with IBM, Time Warner, and many private donors. Thank you for your valued time. Copyright 2018 one earth one people, INC.